The eye contour is fragile and constantly in movement. This favors the formation of under-eye, tear trough, and crow’s feet wrinkles, which create facial expressions projecting sadness, fatigue, bitterness, and sternness. Reconnecting the epidermis to the dermis, Gatuline® Link n Lift acts on all eye contour wrinkles for a younger and fresher look: the face regains a rested, positive expression. Gatuline® Link n Lift is the first active derived from the horse chestnut flower, rich in active molecules (i.e., flavonoids, tannins, amino acids, and sugars). It is obtained using Natural Deep Eutectic Solvents (NaDES) technology. NaDES yields active compositions unattainable with conventional solvents. Natural, nontoxic, and effective at low temperatures, NaDES is perfectly aligned with Gattefossé’s strategy to provide high-performance sustainable ingredients. 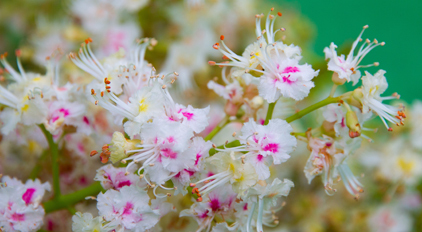 The horse chestnut flowers are handpicked in Ardèche, France, for responsible sourcing. At a use level of 2%, Gatuline® Link n Lift visibly acts on all eye contour wrinkles—crow’s-feet, undereye wrinkles, and tear trough wrinkles. A double- blind study with a placebo control has confirmed this eye contour rejuvenation: the first effects are apparent in just two weeks. 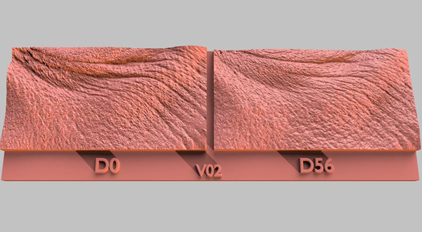 Wrinkles are visibly reduced, and the skin is toned and smoothed. reinforces the integrity and function of the dermal-epidermal junction by stimulating the synthesis of all major components involved in dermis-epidermis cohesion and communication.